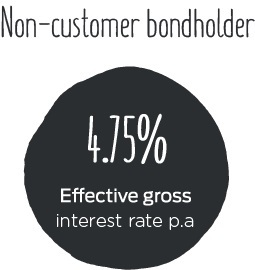 With the support of our investors, we raised over £16 million with our second corporate bond. 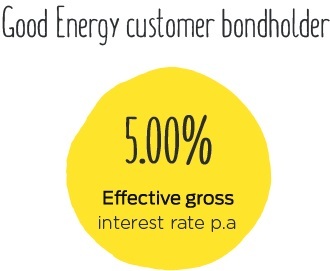 We are thrilled that our bondholders have invested their money to support Good Energy’s purpose – powering the choice of a cleaner, greener future together. These funds will help power our new strategy – always focused on customers – and enable us to explore opportunities in new business areas to support both business and domestic customers in the transition to renewable energy, including work on electric transport, storage and renewable energy. We are really excited and humbled to have received such outstanding support and a huge vote of confidence in our business. Together we have proved that those committed to the choice of a cleaner, greener, fairer future are coming together in a global movement that has never been more powerful than it is today. Our customers, our investors, our shareholders, our staff, our generators, our partners – are at the heart of it. Interest is paid semi-annually in June and December each year and payment should be with you within 15 business days after 30 December and 30 June each year. If you have any questions, you will be able to find the answer on our frequently asked questions page. Any questions? Contact our investor relations team. Go to Computershare to jump straight into to your investment.